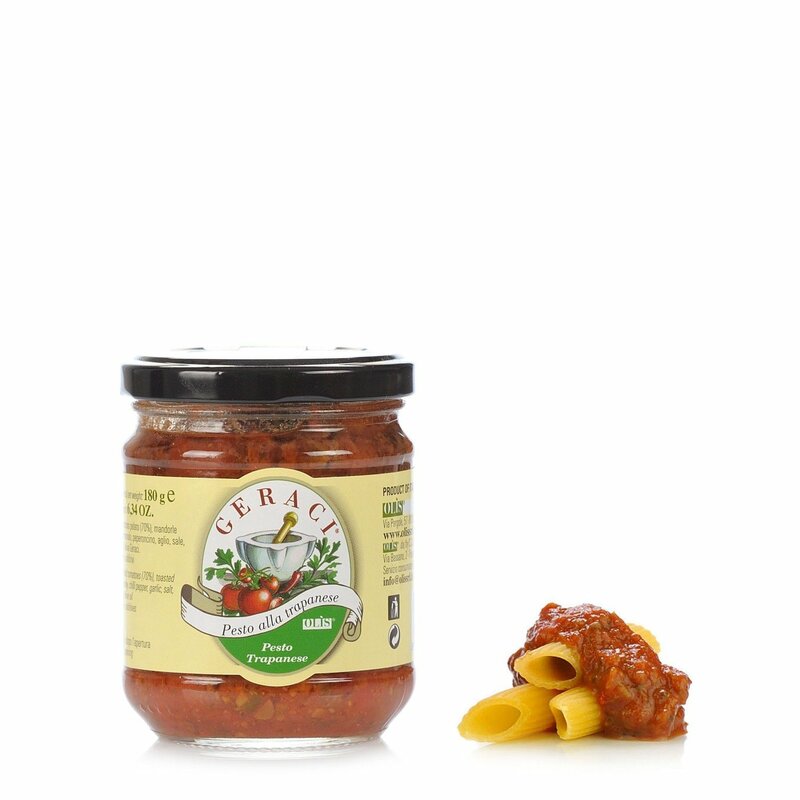 The Geraci pesto is a ready-to-use sauce based on a typical recipe of the province of Trapani. This is a delicately flavoured sauce that is ideal on pasta, and is perfectly enhanced by the addition of cheese and extra virgin olive oil. This portion is perfect for two. Ingredients Peeled tomatoes, chopped toasted almonds, parsley, chilli pepper, garlic, salt, Geraci extra virgin olive oil. For more information on product labels, please contact our Customer Service department. The information on the labels of the products may vary for reasons beyond our control, therefore, there may be discrepancies between the information on the site and that on the products delivered. Please always check the information on the product before consumption or use.